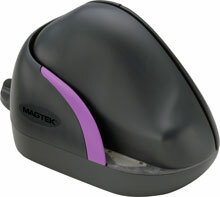 MagTek MICRImage - RS-232 interface check reader. Order interface cable (Part# 22410302) & power supply (Part# 64300090) separately. See accessories. It works well with our church management software for contributions. The MagTek 22410002 is also known as Mag-Tek	MAG-22410002	.